It is often quoted that in 1961 Blyth was the busiest port in England, shipping over six million tons of coal. During the early 20th century it was a large centre for the shipbuilding industry and home to six collieries within its 19.1 square kilometre boundaries. Fishing, Bedlington Iron Works and the industries which supplied the coal and shipping trade, such as rope making, played a smaller but important role in the town of Blyth. Salt manufacture had also been an industry associated with Blyth from the 12th century, although this had declined rapidly during the late 19th century. The late 1960s had seen a rapid decline in the traditionally male-dominated heavy industries. Trading estates, such as the site at Kitty Brewster, were developed to fill the void and the port diversified to ship wood-based products and materials for the aluminium manufacturing process located at the north side of the River Blyth, although this is not a comprehensive list. Retailing was also expanded and developed in this market town. 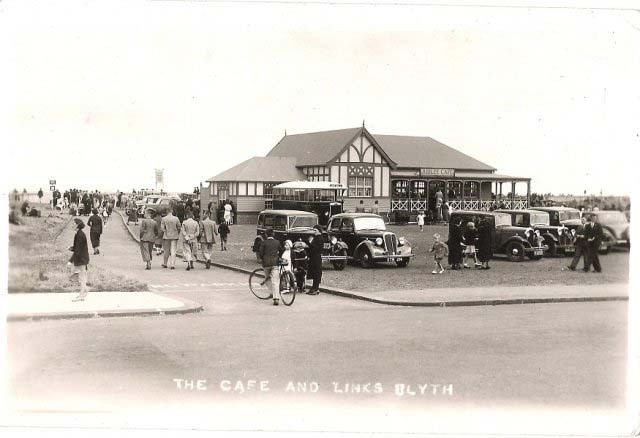 Easier transport links have also meant that day trippers have increasingly flocked to Blyth, during the last century, to take advantage of the fine beach and parks, which have been constantly developed. The present day area of Blyth Town consists of the ancient townships of Cowpen and South Blyth/Newsham. The boundaries of the townships had been established before written records began and were administrative divisions of a parish. Cowpen Township was a division of Horton Parish and South Blyth/Newsham a division of Earsdon parish. The dividing line between the two townships was roughly what we now know as Plessey Road and Union Street, with South Blyth/Newsham being to the south and east of these markers. Industrial activity from Blyth slowly encroached on to the lands and small village of Cowpen Township during the early 19th century and eventually Cowpen became synonymous with Blyth. Despite having what was described in 1827 as a safe port and harbour and the abundance of raw materials the population of Blyth in 1801 was only 2023 persons: it was still just a cluster of small settlements. 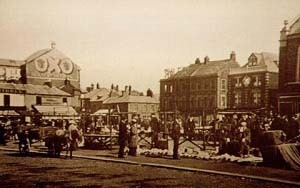 The development of the railway and harbour in the mid-late nineteenth century allowed for the major exploitation of Blyth’s resources and the town grew rapidly into a major industrial centre. The links below have been chosen as a readable and useful guide for further information. It is, however, far from being a complete list. The galleries on this website contain a great number of unique photographs and postcards of historic value. Blyth history page from the Northumberland Archives Service. This is part of the Sense of Place North East consortium. Includes a brief history, facsimile documents, Ordnance Survey (and older) maps and plans, photos, images and sound recordings. Blyth page from the “Keys to the Past” site. This site unlocks the secrets of the archaeology of Durham and Northumberland. It also includes a feature where maps from any historic period can be compared. A link is provided to the “Past Perfect” website where 3D reconstructions can be viewed from five periods in North-East history including 20th century Woodhorn Colliery in nearby Ashington. History of Blyth, 2nd Edition, 1869, by John Wallace. A classic text from the 19th century. Now digitized by Google, it is still a useful source of Blyth Information from medieval times to the nineteenth century. Cowpen in the 1840s, by Alan Fryer. A short piece describing Blyth at its fledgling stage as an industrial powerhouse. Collieries and Mining. Comprehensive site giving information on collieries, mining history and facsimiles of related documents. There is also a large photo gallery. Collieries in Blyth included: Cowpen, Newsham, New Delaval, Isabella, Mill Pit, Bates and Bebside. Bedlington Engine and Iron Works. An easy-on-the-eye site from the former Wansbeck District Council detailing the history and archaeology of this important site located on the River Blyth. Many photos are available in the gallery.